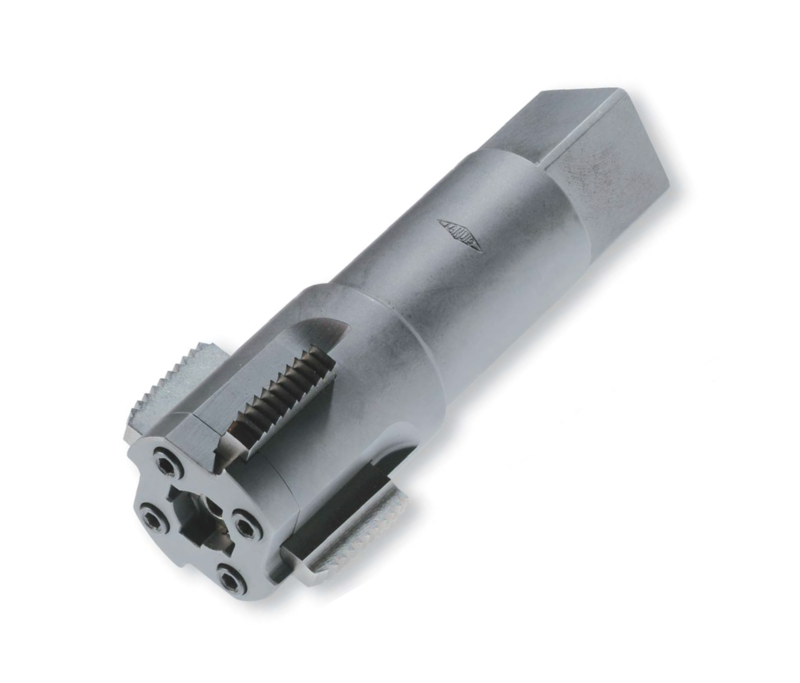 Landis solid adjustable taps are recommended for high-production tapping on reversing spindle machines and for automatic screw machines where limited length clearance prohibits the use of a collapsible tap. These taps also are ideal for hand sizing and salvaging previously tapped threads. Landis solid adjustable taps are precision tools made from alloy steel. The chasers are held securely against tapered seats on the plunger and are supported on all sides. This gives the rigidity needed for accurate threads. The chasers are made from high speed steel. The thread form and all supporting or locating surfaces are precision ground after hardening to ensure accuracy and longer chaser life. The chasers can be reground to lower overall tooling costs.